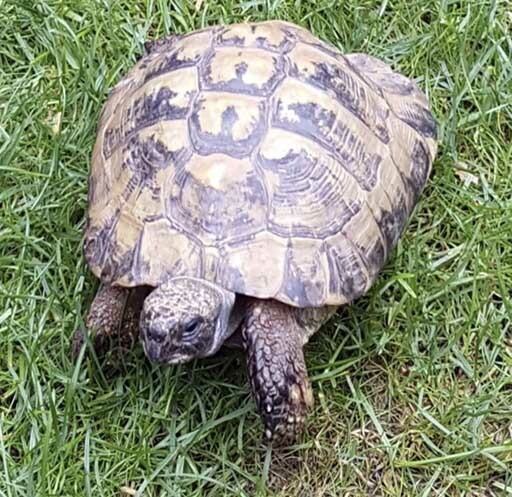 Toby the tortoise – Quantock Pet of the Month! Toby Palmer is a much loved tortoise who is over 40 years old. Whilst in here for one of his regular ‘holidays’, a swelling was noticed on his foot. This was observed and after a couple of days we were certain that this was already getting bigger. We contacted the owners and started Toby on medication with a view to remove the mass/abscess. This was soon carried out after planning. Toby’s op took place on 24th September and all went well. After a long recovery period, being well looked after at home, the last of Toby’s stitches were removed in November. He is now happy and well again. We love our tortoises here at Quantock and Toby is an old friend! Congratulations Toby!